Gabriella and Ryan’s post inspiring wine bloggers to get creative and seek out a unique Spanish wine or one from an unheard of region for the comeback edition of New York Cork Report Executive Editor Lenn Thompson’s Wine Blogging Wednesday, fueled my determination to get my hands on a bottle or two that would expand my basic understanding of wine from Spain. I didn’t find what I was looking for at a large retailer in Ithaca, so headed to my favorite wine store, Red Feet Wine Market and Spirit Provision. My friend, Amy Cheatle who leads event and tasting room marketing for Damiani Wine Cellars, also works at Red Feet and directed me to the shop’s manager, Empar. She quickly scanned the Catavino post on my Droid X and walked me through a few select options. Several of the wines Empar recommended sounded interesting, but the keywords that got my attention and had me leaving with 2009 Bodega Bernabeleva Camino de Navaherreros Garnacha : cool-climate red, small production, Vinos de Madrid DO (one I haven’t explored). Bodega Bernabeleva produces just 3,300 total cases currently, will be 100% certified biodynamic as of this 2009 vintage and is a rare find outside of Madrid. I decanted the wine for several hours and found cherry syrup and brown sugar on the nose. After it opened up a bit more in the glass, I got a gentle whiff of pungent flowers–hyacinth came to mind. Color is black cherry with a slight blue hue on the edges. Medium-bodied and slightly chewy with powdery minerality, the finish is silky and elegant. What surprised me about this wine is how much it changed as it opened up upon swirling and intermittent tastes. My husband, Rich also tasted with me and he picked up plum flavors. 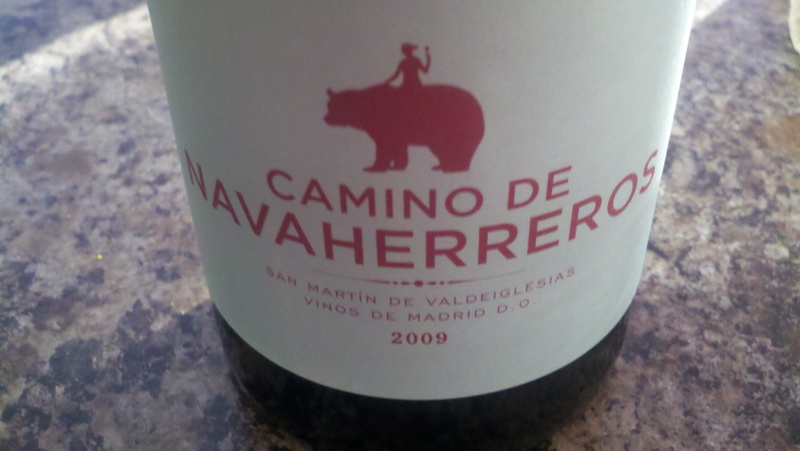 2009 Bodega Bernabeleva Camino de Navaherreros Garnacha available via The Rare Wine Co.
Have you seen this video from WineSpectator.com? 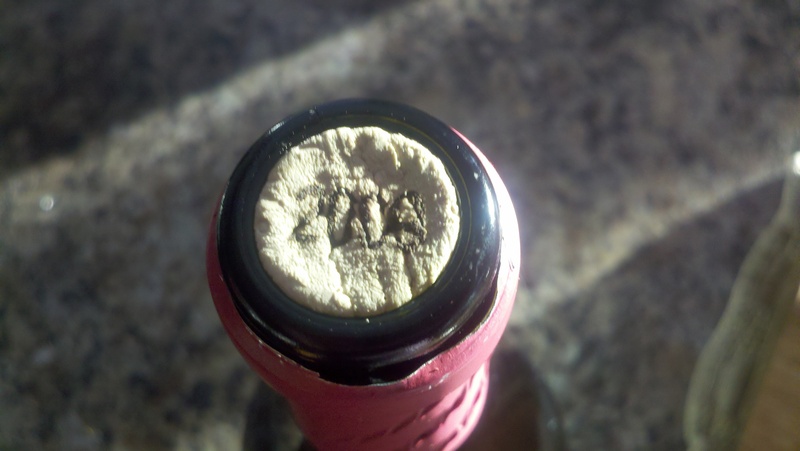 It shows the behind-the-scenes tasting process of the Wine Spectator’s tasting department. I thought you would like to see the process and meet the reviewers. What are your thoughts on the process? Solid scores for the 2007 vintage of Finger Lakes wines continue with The Wine Advocate’s David Schildknecht rating four of the region’s wines from 86 to 88 on the 100 point scale. I agree with Lenn Thompson at LENNDEVOURS blog on his view that NY wines certainly have the potential to break through and more consistently receive 90+ ratings. For the Finger Lakes region, I like the strategies that favor the wineries continuing to submit their best, most elegant wines for review to key wine publications. I feel that winemakers and winery owners should continue to collaborate and work toward elevating the image and reputation of the region by being extra attentive to how it is represented to consumers, trade and the media. In other words, continue to look beyond their own front doors and toward the big picture. Wouldn’t it be amazing to create an intimate, elegant consumer and trade/media wine and food showcase in a setting that truly “showcases” the beauty of the Finger Lakes? Perhaps it makes sense to appoint a winemaker or winery owner as the go-to spokesperson, someone who will be media trained so that she or he is comfortable and engaging on camera. (Our very own Robert Mondavi) This spokesperson could be called upon to proactively continue to educate consumers/trade/media on the region and its wines beyond what associations including Finger Lakes Wine Country Tourism Marketing, Inc., Finger Lakes Wine Alliance, New York Wine & Grape Foundation, the Wine Trails, and other agencies are already knocking themselves out to do. I see this person as a thought leader in the industry who is not afraid to continue to push the envelope, embrace technology and look toward the strategies that elevated the reputation of the West Coast wine industry in order to create our own plan to change any misconceptions that our wine region is second-rate. In these uncertain and scary economic times, is there a market for “cheap chic” wines? This article on the popularity of value store brands such as those carried by Target, who is now finding success in repositioning itself as the merchandiser of affordable chic goods, brought to mind a possible marketing strategy for wineries: producing a line of wallet-friendly but still elegant, quality wines. It may be as simple as taking your table blends or meritage and recreating and redesigning their labels and names while keeping bottle prices affordable. Some beautiful examples of label designs can be found here. Click through and get the creative juices flowing! Thank you for continuing to check out this column and cheers until next week! Focused and pure, with tangy fennel, anise and apple notes allied to a bright, pure frame. Nice drive on the finish. Drink now through 2009. 150 cases made. Plump up front, with fennel and anise hints, before the dry edge emerges on the bright, minerally finish. Very solid. Drink now through 2009. 700 cases made. —J.M. Broad and forward, with quince, dried pineapple and green almond notes followed by a rich, creamy finish. Drink now. 750 cases made. —J.M. Fresh and nicely defined, with a mouthwatering edge driving the apple, fennel seed and lime notes through the lengthy finish. Drink now through 2009. 500 cases made. —J.M. Quite taut, despite a marzipan edge running through the tangy green apple and lime notes, which linger on the petrol-tinged finish. Has some mature hints already, but it’s fresh and long, and should age nicely. Drink now through 2009. 4,500 cases made. —J.M. Ripe and juicy, with a solid core of anise, melon and fig flavors backed by a nice mouthwatering MacIntosh apple note on the finish. Drink now through 2009. 1,124 cases made. —J.M. Tangy for an off-dry style, with lively quince and lime notes leading the way for apple and pear hints on the juicy finish. Quite tasty. Drink now. 200 cases made. —J.M. Quite dry and bony, with a slate-driven spine leading the taut green apple and lime notes. Tangy, chalk-tinged finish. Drink now through 2009. 1,320 cases made. —J.M. Nice purity, with a crisp lime edge backed by slate and green apple notes that linger on the chiseled finish. Drink now. 307 cases made. —J.M. Quite crunchy, with a tangy lime streak running through the Pippen apple and green almond notes. Lively finish. Drink now through 2009. 800 cases made. —J.M. Good focus, with a nice slatey edge to the apple and fig flavors. Good drive on the finish too. Drink now through 2009. 743 cases made. —J.M. Juicy and open, with quince, pippen apple and braised fennel notes that stay fresh on the finish. Drink now. 987 cases made. —J.M. Fresh, with a bracing edge to the lime, green apple and chamomile hints. Good cut on the finish. Drink now. 2,500 cases made. —J.M. Fresh, with off-dry apple, pear and quince notes followed by a round, generous finish. Drink now. 3,900 cases made. —J.M. Plump and forward, with good apple, green melon and anise notes. Round, juicy finish. Drink now. 1,500 cases made. —J.M.